Martin Westbeek, Marketing communication lecturer. 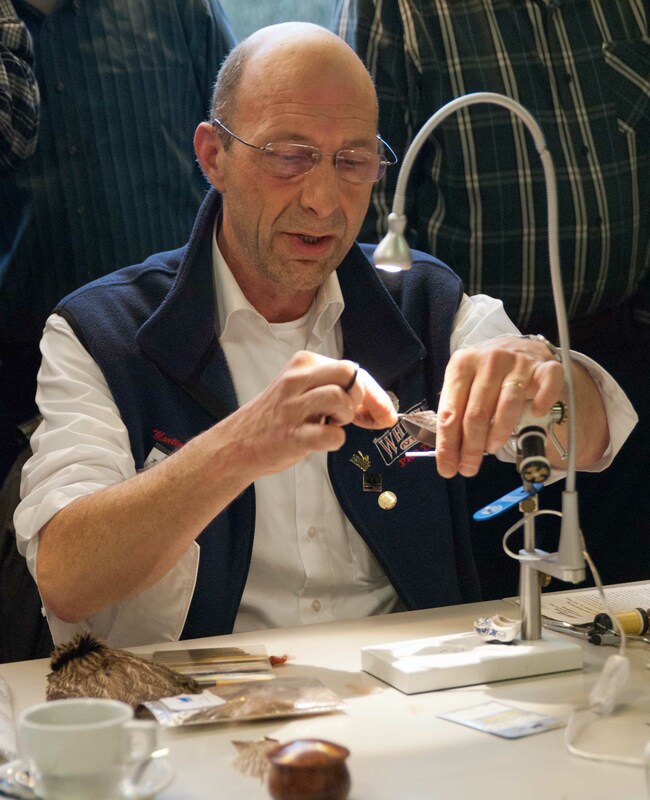 I started tying in the eighties, picked up some prizes in fly tying competitions and started to tie flies at shows in Holland, Denmark, Germany, Britain, Belgium, Sweden, Italy and USA. During the year I also do workshops at clubs and in flyshops. I am a member of the Whiting and the Daiichi Pro Tier Teams. Flies of mine appeared in Leeson/Schollmeyer’s Tying Emergers, Takahashi’s Modern Midges. I regularly publish step-by-step patterns on the Global Flyfisher. In August, 2015 three flies of mine were included into the Master’s Collection of the Catskills fly Tying Museum in Roscoe, NY, USA. Still feel honored about that one!